Insight Publishing has been in business since 1991 when we started publishing a journal on the health benefits of traditional Chinese medicine, culture, and exercise. Since then, many "Eastern" practices like Zen meditation, Feng Shui, Taijiquan (T'ai Chi), and Qigong have become more accepted into Western cultures. We have been at the forefront of this transition with the journal providing a way for instructors and practitioners to share their stories with the public. So what does a publishing company have to do with avocados? Actually, it isn't too surprising because our farm and workshop is located in a secluded agricultural area of southern California surrounded by thousands of avocado and other fruit trees. As avocado growers for the past 15 years, we know the amazing properties of raw avocado oil and developed ways to extract small quantities of oil for our own use. 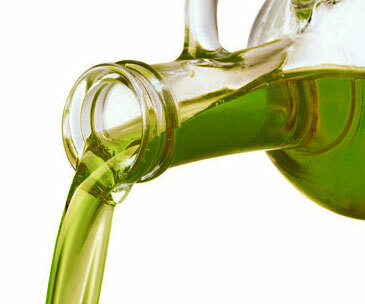 We use the oil for cooking, as skin treatments, and we make our own soap products. A branch like this will soon break under the weight of the growing fruit unless pruned or thinned. Most of our fruit is sold to "packing houses" who warehouse, grade, pack, and sell to supermarkets across the US. The California avocado you purchase in a store could come from our grove. But packing houses deal in large quantities making it inefficient to have them pick up less than a couple hundred pounds of fruit at a time. 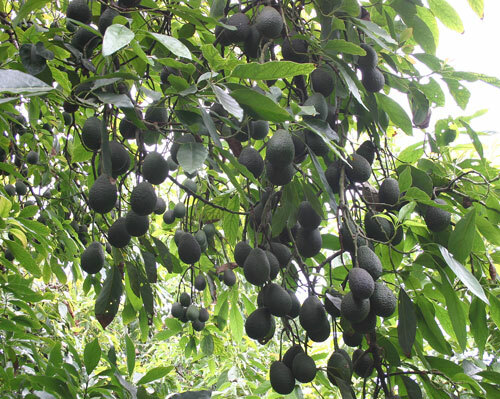 That means that whenever we prune a small limb or thin a tree to keep branches from breaking, we have excess avocados. A family can only eat so many... so some are made into oil. Our processing is labor-intensive because we use no automated equipment and have to fill and tighten the press multiple times each day. We have no desire to be a major manufacturer of oil nor try to extract every ounce, so our focus is on quality and our oil is only available as we make it, with no volume commitments to wholesalers, etc. We limit our sales to sites like Etsy.com who helps us sell other hand-made craft items made in our shop.